Q. What are the guidelines for cleaning endoscopes when soaking the instrument in an enzyme cleaner? I have heard the enzyme can become inactive. How and why does that happen, and how can I be sure my detergent is still working? A. 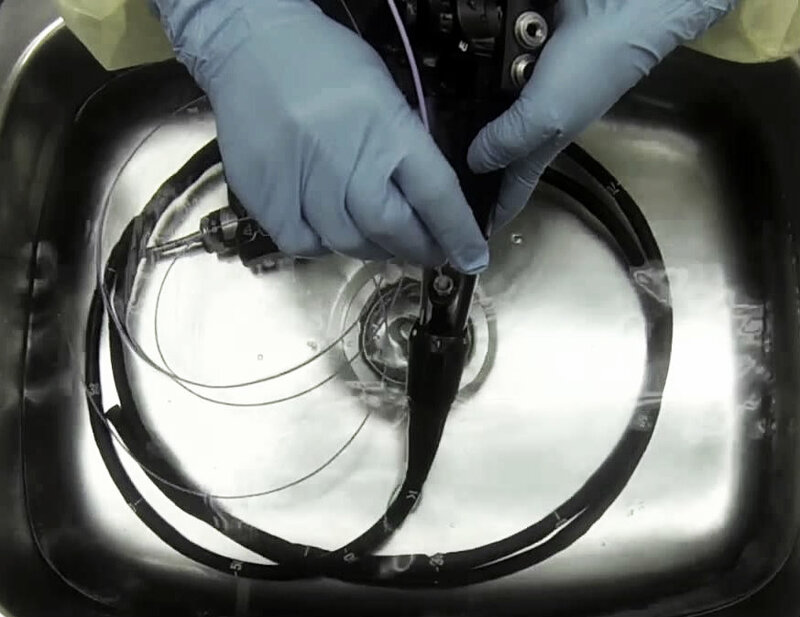 Cleaning endoscopes can certainly be quite a challenge. Your set up, endoscope type, and washing conditions can all have an effect. We at Alconox, Inc. have a great deal of experience and can create customized procedures for your needs. And as always, we are happy to assist you as needed. Just let us know! Regarding your specific question, on the market, there are liquid concentrates and powdered enzyme cleaners. Liquid concentrate enzyme cleaners are thought to be easier to handle, dissolve and dose. The issue with liquid enzyme cleaners is that the enzyme is active in the liquid state. As such, the protein enzyme may eat itself (autocatalysis) or otherwise degrade and lose activity over time (because, after all, it is active and enzymes are made of protein). The detergent formulator may use excess enzyme and more expensive ingredients to stabilize the enzyme in order to get any kind of useful shelf life. Extra care in the storage and handling conditions with the shelf life and monitoring may be required with liquid enzyme cleaners as well. Again, we are happy to discuss the details further as this cleaning procedure is a highly critical step. Disinfection/sanitization/sterilization alone, without a prior thoroughly cleaned endoscope, may lead to contamination events.